A sandwich, a glass of apple-juice? Six sugar cubes! There are healthier options. 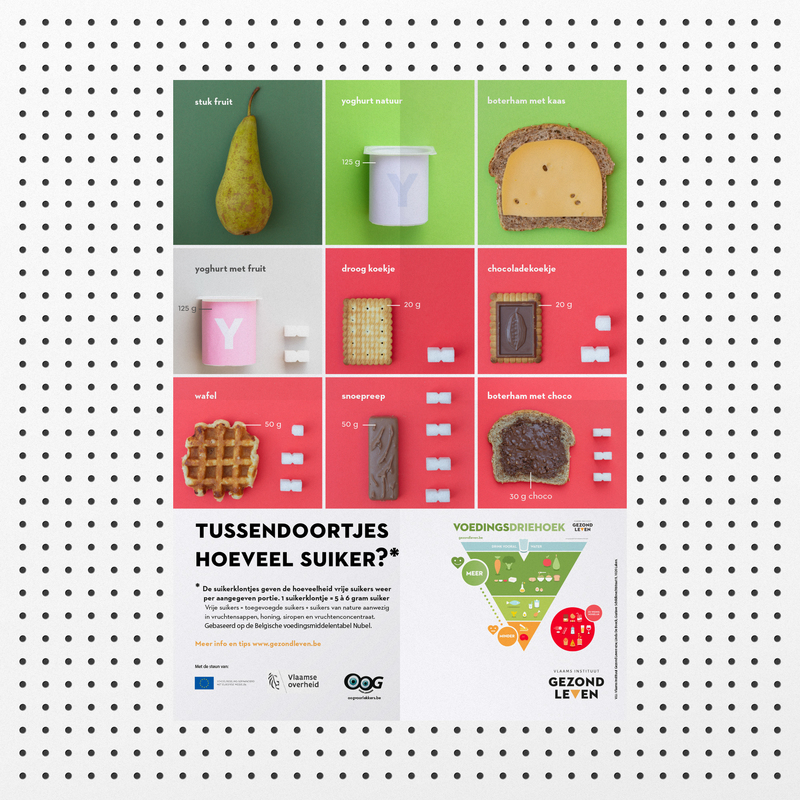 Flashing posters inform students on the amount of sugar cubes in their snack. These posters used to be drawings. An update looked charming. The new design was tested with numerous students. They chose the poster with real pictures, in stead of the drawings. 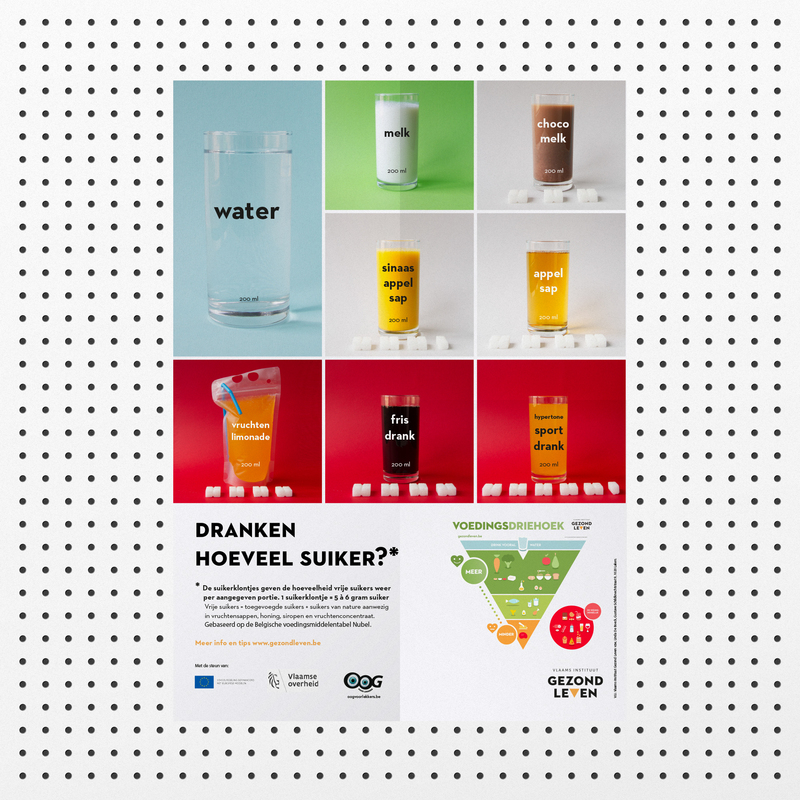 The posters hang in numerous Flemish schools. By informing students, we give them a choice on how much sugar they want their snack to contain. Students choose for healthier beverages and snacks, which contain no sugars. Only tasty, healthy snacks and beverages at school.